Volkswagen had a disappointing 2015 as Dieselgate dented the automaker's bottom line. How will things turn out this year in Volkswagen's biggest market and what’s changed about the auto giant? 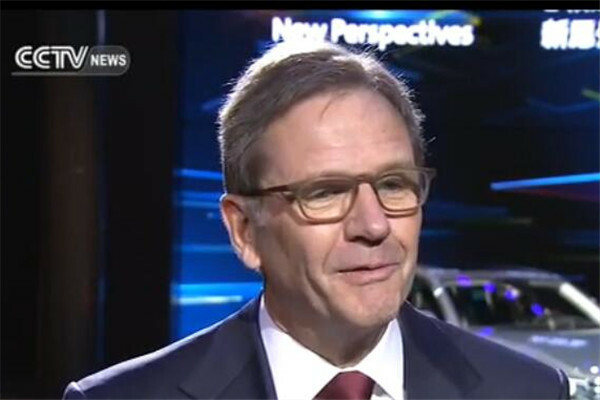 CCTV reporter caught up with Jochem Heizmann, the CEO of Volkswagen China--and started by asking about the 2016 outlook. A1. We saw already in last quarter last year upswing in our sales. This year, sales performance not our only or main target. Our focus is customer satisfaction, long term success, value creating growth, these are targets we want to achieve. I’m convinced, that with this positive trend, will continue this year, we see total auto pv mkt growing in level of gdp, I’m convinced we’ll follow. I’m quite optimistic. What’s important is we stay to our plans, invest more than 4 bln euro just in china, this is investing in innovation, tech, nev, big suv offensive, we’re committed to china, to the ppl, to the society. Q2. One highlight in the market is the explosion in NEV sales, that is thanks to govt subsidies for building-SAIC VW – Skoda NEV’s? A2. We started with imported cars-the first was Porsche panamera, others were from VW. This year, locally produced plug in, audi a6, followed by Phideon, as a plug in, more to follow. As well as pure electrics on our existing mqube platform. After that, start with completely new modular structure, for pure battery cars, longer driving range, more than 400 up to 600kms.This will lead to 15 complete nev models in the coming 4-5 yrs. Q3. We’re seeing so much crossover between automakers and tech companies. Tell us what you’er doing, tech – autonomous driving and connectivity? A3. We see the cars of the future as seamless integrated mobile devices and we are already offering different systems together with Baidu, Tencent, what we now just newly decided is that we will have future fuel labs, as innovation hub, one of these future centres will be in BJ, that will be the future of design and innovation. Q4. How has Dieselgate dented consumer confidence in China? A4. There was some impact on diesel as well in China, limited volume, 2000 cars involved. We have developed the solution, it’s on its way. Our main issue is to satisfy our customers.